19 JANUARY 2017, SINGAPORE – WWF-Singapore has called for the local F&B industry to take action by being part of the global conservation movement and phasing out of shark products from the market. In the past five years, the global movement to ban shark fin has gathered momentum with over 18,000 international properties now refusing to offer dishes made from the endangered species. Global hotel chains that have removed shark fin from their menus include Hilton, which operates around 4,700 properties; Hyatt Hotels, which operates 679 properties in 54 countries and Starwood, which operates 1,300 hotels worldwide. “Consumers are recognising the value of keeping sharks off our plates and in the oceans, where they play a critical role in the marine ecosystems. After five years of pressure from consumers, most major hotels in Singapore have removed shark fin from their menus. It is time for the rest of the local F&B industry to follow suit,” said Ms Elaine Tan, Chief Executive Officer of WWF-Singapore. Consumer demand for shark fin in Singapore is already on the decline. 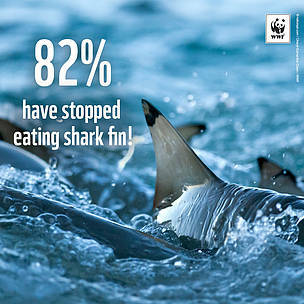 A study by WWF-Singapore last year found that 82% of Singaporeans surveyed had not consumed shark fin for at least a year. The survey also found that shark protection (53%) and environmental concerns (44%) are among the top reasons cited by Singaporeans for the decline in consumption, along with the changes in local dining culture (53%). Grand Hyatt Singapore was among the first hotels in Singapore to remove shark fin from its menus in March 2012, as part of a global decision taken by the hotel. Nearly 25 per cent of sharks and rays now face extinction, according to the IUCN Shark Specialist Group, with overfishing for fins and meat being the major drivers. In 2016, 4 species of sharks were added to the watch list of the Convention on International Trade in Endangered Species of Wild Fauna and Flora (CITES), bringing the total to 20. Trade in sharks continues to be rampant across Asia today. Tens of million of sharks are caught annually. Indonesia, India and Pakistan account for 25% of the global catch of sharks and rays, to feed demand by shark fin consumer markets in East and Southeast Asia. 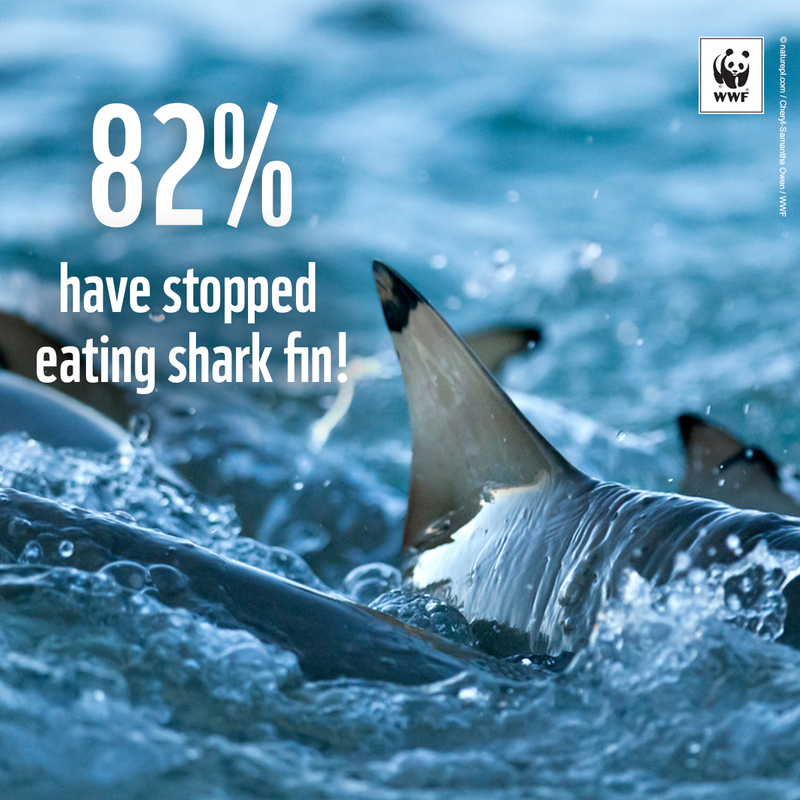 1 WWF-Singapore Shark Fin Consumer Survey 2016. Available online here.